The whole world is witnessing something exceptional in Turkish history. The Gezi Park protests have become an amazing civil movement in Turkey. It started as a modest gathering to defend a public park in İstanbul but has spread to more than 60 cities to become a nationwide protest. When the protests first began, the Turkish press was silent due to media fear of the government and most of the news on the developments we were able to access came from international media. That fact alone says a lot about what is going on in Turkey: When local, mainstream coverage is poor, it means something is wrong and the government is trying to cover it up. Everything happens for a reason and these days Turkey is on the way to being a strong, solid democracy and Turkish civil society developing beyond adolescence and into full adulthood. In fact, it has been finding its identity with the prime minister's help. Late last week, Prime Minister Recep Tayyip Erdogan called the protesters ayyaş (alcoholics) and çapulcu (looters). Rather than rejecting the humiliating and hurtful label of looters, protesters embraced it in an artistic way and applied it to their activism, creating a common identity for all protesters and bystanders. It has even become an English verb, chapul, which has been defined by some as meaning to act in a peaceful and humorous manner to remind governments why they exist in order to take democracy to the next level. Because they focus around the idea of freedom of expression, the Gezi protests have also brought out Turkish people's creative side, a brilliant way to express how everyone feels. This has served to confirm that as the descendants of Nasreddin Hodja, Turks have an amazing sense of humor and can create jokes out of every situation. On social media and at protests all over the world we have seen hilarious slogans and jokes, such as "Stop İstanbullying." or "They maybe students, young and amateurs but showed how professional they are in testing! Pro-testing!" "If these protests have taught me anything, it is not to care about how governments and media label us, our protests, developments, successes and failures. How these young Turks express themselves across the world through the Internet showcases what a brilliant bunch we are, impossible to put in any box," Ahu Resimcioglu-Terzi, who has been actively protesting in Gezi Park since the beginning of the demonstrations, told me. On the other hand, I fail to understand why the Western media is so interested in the matter. As a journalist actively working in the U.S. for 15 years, I have never seen news about Turkey explode in such a way. However, even though it seems to be plenty of news, the perspective of the news is all the same, picturing Turkey as an Islamist Middle Eastern country. I don't understand why they always lump Turkey into the Middle Eastern box in their analyses. Nowadays, the people of many Western democracies are protesting neoliberal policies, such as G20, Keystone Pipeline etc. There is no doubt that problems exist with democracy in Turkey. But Turkey is not a dictatorship, it is a democracy, so you can compare the protests in İstanbul to those in Washington or Athens but not Egypt's Tahrir Square. The Arab uprisings were and are revolts against dictators with no elected authority. The Turkish protests, however, simply voice disapproval of an elected prime minister. Turkey has been experimenting with democracy for 90 years, particularly since 1950 when free and fair elections were held with multiple political parties. However, what Prime Minister Erdogan seems to understand of democracy is not liberal at all. I remember Erdogan's speech after the 2007 election, when his Justice and Development Party (AK Party) was re-elected for its second term. He promised to embrace all segments of society regardless of political affiliation and even thanked those who didn't vote for him. However, he forgot to keep his promise and the AK Party has turned into Erdogan's party. He has taken everything personally, acting and reacting in that way. Still, to me he is not authoritarian but very thin-skinned, too emotional and takes condemnation of his policies personally. Now, as a result, Erdogan has become the target of all criticism. Neither President Abdullah Gül's moderate remarks nor Deputy Prime Minister Bülent Arınç's apology for the use of excessive force by police against the protesters served to change much of anything. The people of Turkey want to communicate with Erdogan. They want to be heard by him. Now is the time for communication. If the chapulling movement protesters remain peaceful citizens uninvolved in party politics, if they continue to make their demands in a peaceful way by calling on government leaders to take action and can embrace everybody as well as their differences, they can be effective in reshaping the fabric of society. That would mean a new era for Turkey. However, the key is still Erdogan, his choice of words and his attitude. If he chooses his typical arrogant, impolite rhetoric, then I fear the protests will grow further and severe civil unrest will befall Turkey. It's about time Erdogan swallowed his pride for the sake of Turkey's unity. Apparently Mr. Erdogan doesn't remember what he declared after the 2007 election. I would like to remind him that he also said: "Nobody can claim that he or she is permanent in these offices. These positions come and go; we come and go." Turkey needs tolerance, dialogue, common sense and acceptance rather than prejudice, criticism, and polarization. And the choice belongs to Erdogan. This post was previously published in Today's Zaman. 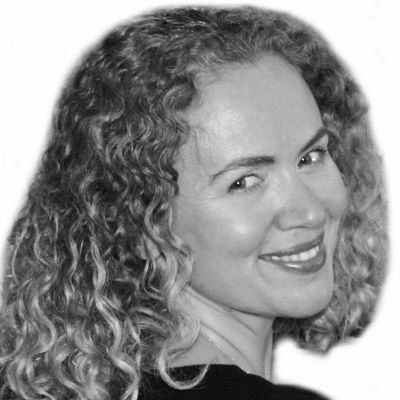 Arzu Kaya-Uranlı is a columnist of Today's Zaman, an English-language newspaper in Turkey.